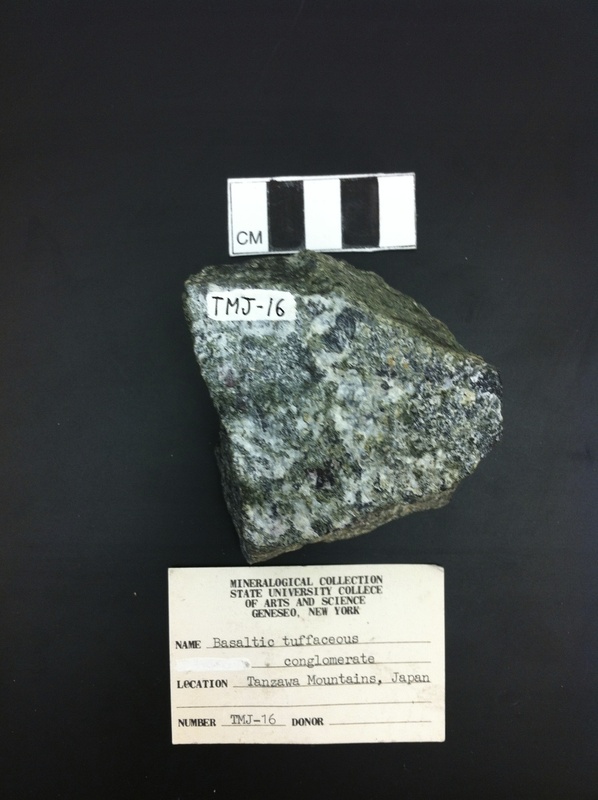 The overall matrix is a dark green blue but there are many different colored clasts that give it a mixture of colors. The color of the clasts range from brick red, pink, white, and green (non-reactant to acid). 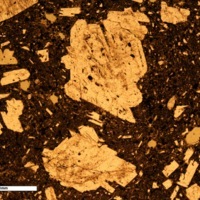 The texture of the rock is silty. There are massive, very coarse grained clasts that are up to 3cm in length. There are clasts within other clasts. There is one fracture spanning across the rock. There is evidence of minor chemical weathering. The overall shape of the rock is an octahedral. It has eight faces and forms into a jagged ball. 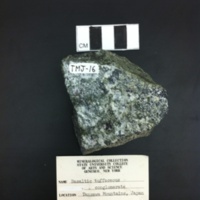 The matrix has many globular, navy blue crystals, with an outer shell around them (XPL). Some plagioclase crystals experience tartan twinning. 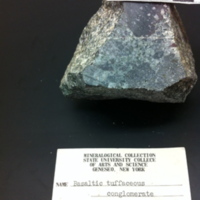 Also, some of the plagioclase is intergrown within other plagioclase crystals. The matrix has a variety of colors in XPL (navy blue, yellow, and brown in various shades), and makes up the majority of the thin section. There are some smaller dark blue crystals that are in the shape of a half spoked wheel (under XPL). 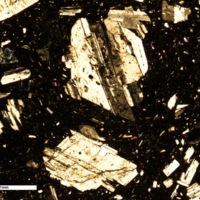 There are some very fine grained sized glass crystals within the thin section. 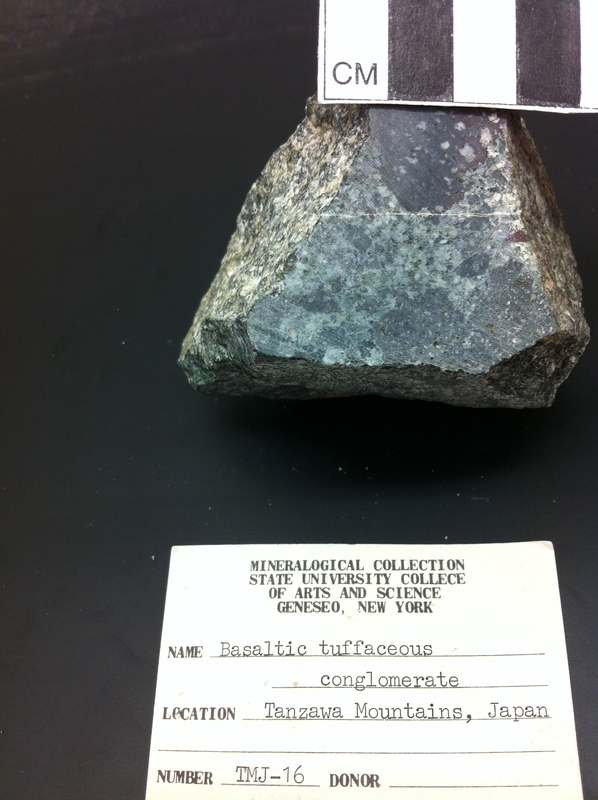 “Basaltic Tuffaceous Conglomerate,” Geneseo Geoscience Collections, accessed April 25, 2019, http://www.geosciencecollections.milne-library.org/items/show/359.